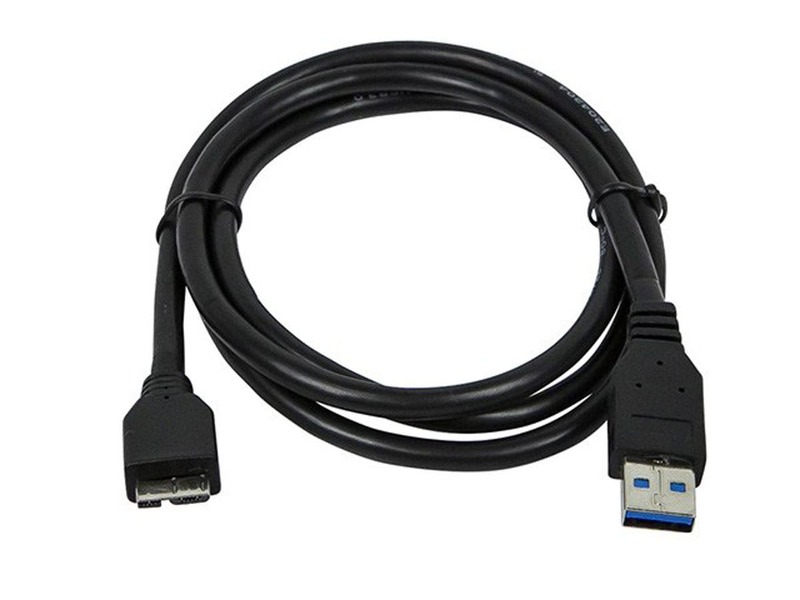 The USB cable is about 3 feet long but remember, Monoprice sells all kinds of USB extensions if you need them. Comes with a 3' USB cable. Also, this hub works with or without using the power cord. I haven't measured mine, but its roughly 36" long. 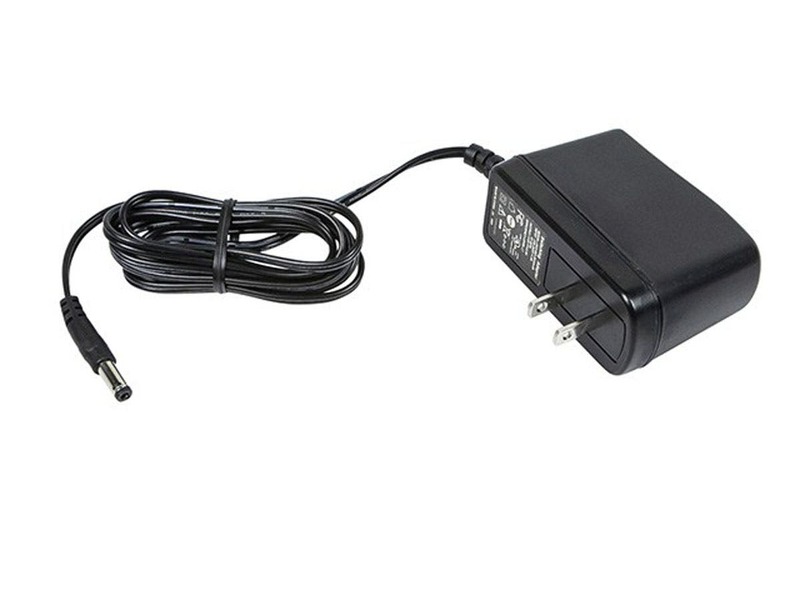 Do you need the power supply for just a keyboard and mouse? BEST ANSWER: Hi, you can skip the external power supply and connect directly to a computer USB port if you are just using the hub with a mouse, keyboard, and most other low power peripherals. 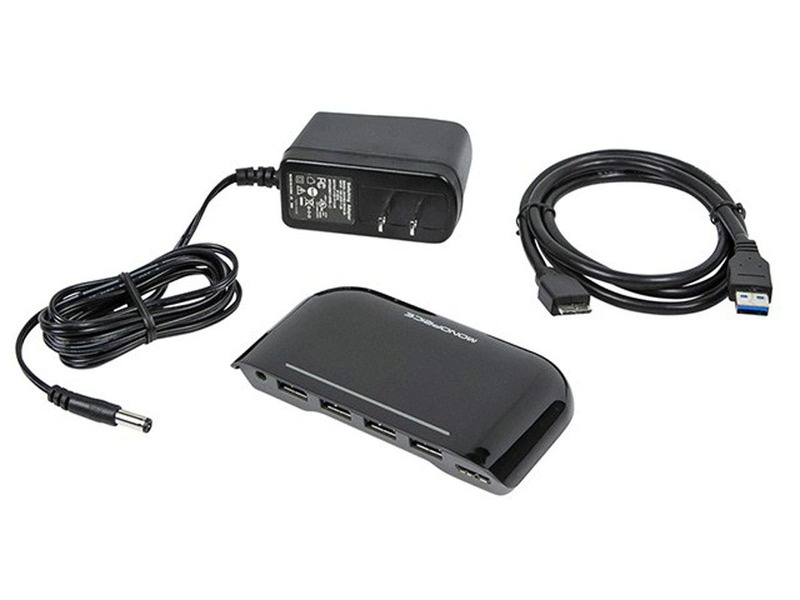 The external power supply is useful when using devices that draw more power, like external hard drives for example. Thanks for checking. Working well so far. It does make my USB devices hot. It's a hub for USB. For USB it is a hub. It does no tricks. As a USB hub, it is a USB hub. It worked ok for a while, but only when connected to a power source. Then stopped working for no reason after day 3. Hello, thank you for your response. If the item is failing on you, we would be happy to set up a warranty replacement. 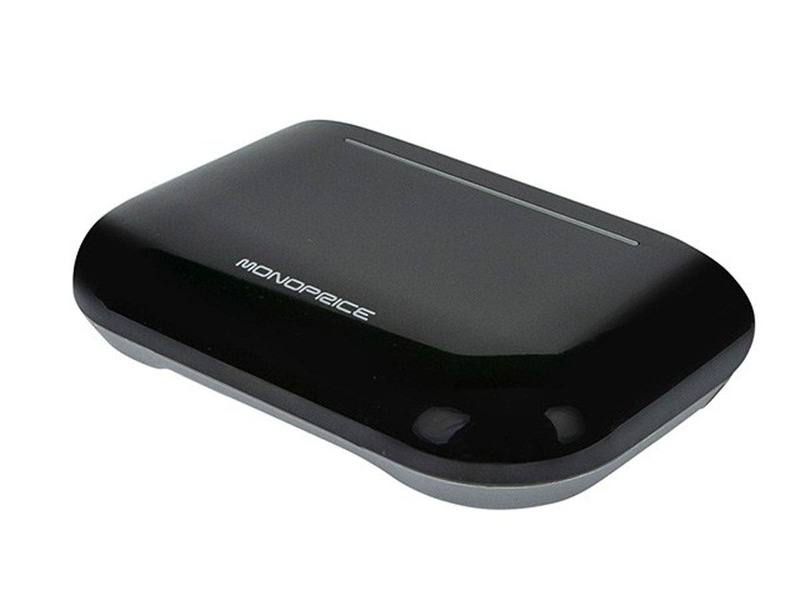 Please contact us at reviews@monoprice.com with your order # and we can look into what options are available to you. This one was a little more expensive than some items listed on eBay. 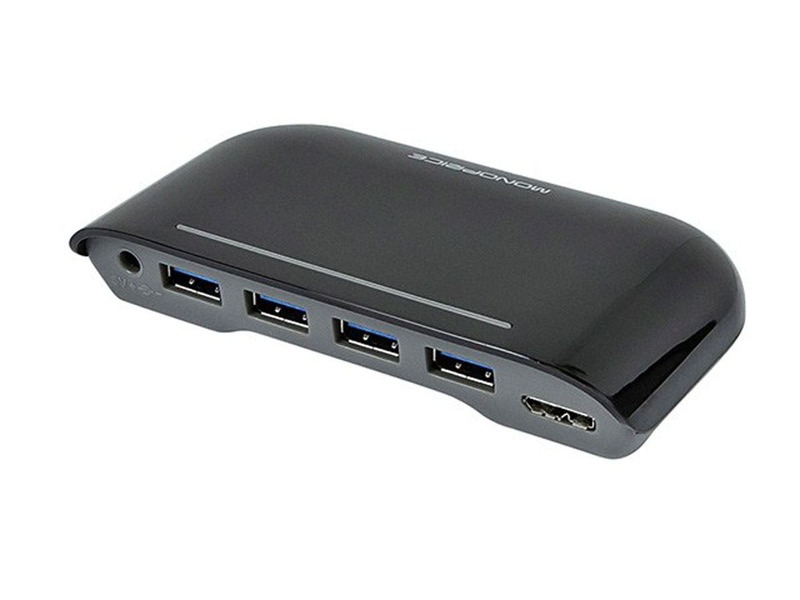 I bought it because I needed an externally powered hub and so many sellers have "USB powered" hubs (instead of a powered USB hub, which supplies its own via an adapter). This hub works great. Its durable too, as while I was unpacking I dropped it about 5' onto concrete and it only suffered some minor cosmetic damage. This USB hub works great. I initially thought it always had to be plugged in to work but was pleasantly surprised when I found out it works both ways. I bought this some time ago and was very confident in it's reliability. I have bought Monoprice products often and have always been extremely impressed with the price /quality value in the products. This product is an exception. The product failed after only a few cable changes. I left it in place for a very long time and had no issues. However, once I replaced the original USB 3 cable, the hubs connecting slot broke off the logic board. Very porr quality at an often used spot in this device. Would not recommend this hub to anyone who needs reliability in a product. CONS: not reliable or stable for everyday use. Thank you for your review and sorry to hear of the issues you have experienced with the unit. I would recommend getting in contact with our Product Support department regarding the issue to see what options are available. They would be best reached via online chat (6:00am - 6:00pm PST) or by phone at 877-271-2592 (6:00am - 5:00pm PST). Just had my 3rd unit fail, all between 12 and 18 months. Cheap...yes, longevity...nope. CONS: Will fail on you between 12 and 18 months. Failed after the first year. Had to throw it away as no warranty replacement was available.